During production work the prop shop supports an enormous number of different activities. 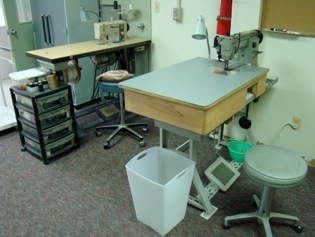 The prop shop does wood, plastics, foam, and metal work similar to the scene shop; sewing, draping, dyeing and distressing work similar to the costume shop; painting, finishing, and crafting similar to what is completed in the scenic paint shop. It is this overlap of skill sets and processes that generates the difficulty in creating a functional prop shop, and has historically forced the prop shop to work scattered about the other theatre shops with only a small space designated for props. 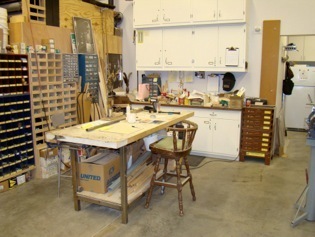 Given the fairly recent history of having props identified as it's own separate craft, the common way of working was often to simply have a "corner" of the scene shop for prop construction and all other work was done in whatever "clean" nook or cranny could be found for craft work and soft goods. That worked in a limited way depending on the space available but all to often usually to the dissatisfaction of the props crew as well as the other theatre craftspeople trying to do their own work. As the expense of producing massive scenic units increased and performance spaces evolved bringing the thrust stage out and up close to the audience, the use of props to establish the scene increased the need to support the prop shop differently. Just as the identification of a separate staff to build props has become the industry standard, so has supporting a shop space dedicated to the production of props. In an ideal theatre world, the prop shop would be clean, safe, and spacious. It would have good illumination including some natural light, adequate ventilation and dust collection, designated work spaces appropriate to the processes and products used, an organized tool and materials storage, easy access to a loading dock for materials and large prop deliveries, adjacent access to hand / furniture/ dressing prop storage, a secure and separate space for an office, and adjacency to other production spaces and personnel. Many theatres are undergoing the acquisition or renovation of spaces. All too often the production spaces fall secondary to the public spaces and the level of planning and space allocation needed to function well is inadequate. It is critical that the voice of the artisans who spend hours upon hours in these spaces be heard and the needs and safety of these people considered in the planning of these production facilities and renovations of existing theatre spaces. Production shop requirements often disappear when budget and space determine the priority. It is important for management to understand that professional and creative work can be best accomplished when given pleasant and safe working environments. Maintaining the space and keeping the functionality flexible to encompass the wide variety of projects asked of the prop shop regardless of the size of conveniences available is important. The properties staff will be spending hours and hours in the prop shop. 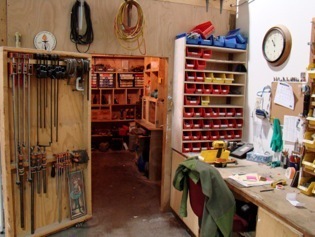 Shops should be analyzed periodically for safer ways of working, better utilization of space, appropriate storage of products and finished props, or easier communication between the staff. 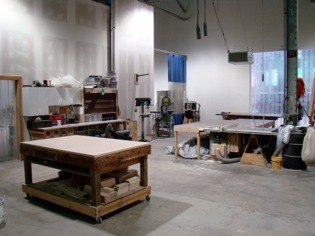 By advocating for a worker-friendly shop and setting up the space so work can be completed efficiently and safely, the prop shop can be a healthy and pleasant work environment.